Crews responded to the scene of crash with injuries reported in Joppa on Sunday night. 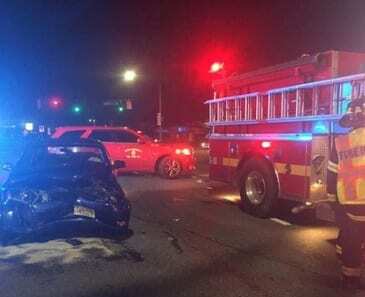 At about 7:45 p.m., units from Joppa-Magnolia Volunteer Fire Company responded to the accident, which occurred at the intersection of Pulaski Highway and Mountain Road. Injuries were reported, although there has been no word as to their severity. Cleanup continues at this hour.